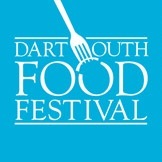 Alf’s are once again delighted to coordinate this fun-filled day at the Dartmouth Food Festival. 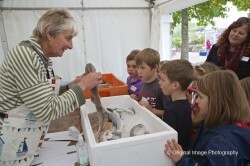 Over 250 local school children enjoy a day packed with workshops in the Royal Avenue Gardens. Activities this year range from hands on cookery demos with students from South Devon College, foodie arts & crafts, meet the fishes, love food hate waste & many other foodie activities. The children’s day is followed by a free tea party at 4.30pm to which all local children are invited. The tea party is generously supported by all sorts of local foodie businesses and suppliers who very kindly donate all sorts of foodie treats for the children to try. The Dartmouth Food Festival is an annual festival celebrating all things food and wine. Now in our 15th year, the festival has developed into a major food event or, as The Daily Telegraph put it (February 2011), a ‘heady mix of celebrity chefs, parties, food markets, tasting shacks and demonstrations’. What gives us extra stand out is the fact that we’re a free festival. Anyone and everyone is welcome to come along and take part without being charged an entry fee. Our real aim is to showcase the best that the South West has to offer – from Ashridge Cider and Cornish Seasalt through to the Devon Scone Company and South Devon Chilli Farm. We also want to shout about our award winning restaurants (The Seahorse, The Elephant in Torquay and the Millbrook Inn, South Pool to name but a few) and their amazing chefs. Without being too biased, we probably have the most award winning chefs per square foot than anywhere else in the country. Highlights this year include evening demos on Friday & Saturday evening. A fantastic Eat Your Words programme with talks & seminars covering everything you need to know about foodie issues. This year we are also going single-use plastic free...sustainability and the local marine environment being a priority. We’re having a pop up in the Royal Avenue Gardens for the Dartmouth Food Festival…come & see us for fab coffee, delicious Alf’s homemade bakes, local juices & Kate’s award winning marmalades (perfect for those Christmas gifts!). Bring along the whole family there will be foodie fun for everyone as well as the demo kitchen & workshop tents as well as the amazing offerings from Piper’s Farm, the Pig Apple & Kernow Forno, to name but a few. 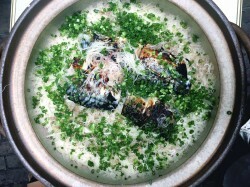 Join us for a Japanese Rustic Supper this food festival Saturday when we are joined by The Miso Tree and the "Asama Kyoudai" chefs, Tomoyuki Kamogawa and Hirofumi Seki, from Nagano, Japan. The menu will use local Dartmouth produce, cooked with Japanese fermented flavourings and ingredients.